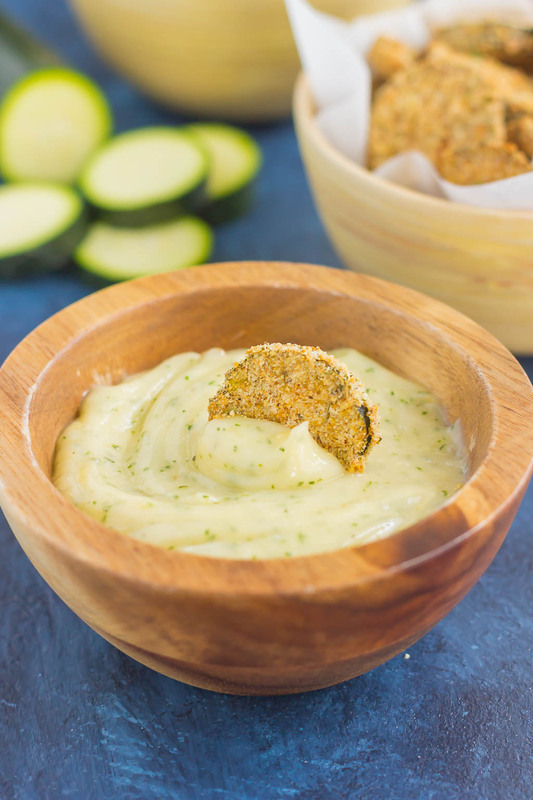 If you’re looking for a creative twist on a classic vegetable, try these Zucchini Chips with Ranch Mayo Dip! Loaded with spices, these chips make a healthy snack, appetizer, or side dish! Last weekend, the hubster and I broke out our bicycles to enjoy the beautiful summer weather. After washing them down and checking to make sure there was enough air in the tires, we hopped on our bikes and began the ride through our neighborhood. It felt so good to be in the fresh air, with the sun streaming down on us. And I had forgotten how much I liked riding a bike! Don’t judge me, but it’s probably been at least three years since I last rode my bike. Crazy, right?! Well this summer, I made a pact with myself to get out and ride more. Great exercise, sunshine, and just plain ‘ole fun! After about an hour ride, we parked our bikes in the garage and came in to cool down. Man, that was hard work! We found a trail by our house that we explored, hills and all. Definitely a good workout, especially because of my lack of bike riding! With our exercise out of the way, we were hungry. Very hungry! But we wanted something healthy, a snack that wouldn’t undo our workout. While the hubster contemplated a sandwich or leftovers from the night before, I immediately spotted some zucchini on the counter. But before I go into my recipe, I will admit that I’m not the biggest zucchini fan on the block. I like it mixed in with a casserole or as a roasted vegetable, but eating it plain just doesn’t do it for me. Are you like that, too? So now you’re probably thinking, “Why on earth did you buy zucchini, Gayle?” Because I desperately want to jump onto the zucchini bandwagon! Everyone talks about how good it is, and how versatile it can be….have you seen pasta made from zucchini ribbons? What a brilliant idea! So I wanted to give it the good ‘ole college try and test out the vegetable again. But I couldn’t bring myself to just slice it up and eat it. Nope, that would be too boring! Plus, it probably wouldn’t convert me to a zucchini-lover. So after hemming and hawing about what to do with my two zucchinis, the perfect idea popped into my head. Zucchini Chips with Ranch Mayo Dip! It sounds easy enough…slice some zucchinis, throw in some spices, and bake in the oven! I think it would fuel my love of zucchinis and keep my post-workout food healthy-ish. I went by the rule of thumb to use one zucchini per person. So if you are serving this snack for two people, use two zucchinis. Since I don’t have a mandolin slicer, I sliced two zucchinis into thin discs by using a sharp knife. It worked out perfectly, too…the zucchinis were easy to cut into and ready to be seasoned in about five minutes total. After they were sliced, I tossed the zucchinis in a bowl with some olive oil, garlic powder, onion powder, salt, and pepper. My combination of the perfect seasoning! Just in case you haven’t noticed, I’m a huge garlic fan. After all, everything is better with garlic, right? After the zucchinis were seasoned, I spread them out in a single layer on a baking tray lined with a silpat mat and popped them into the oven. While the zucchini chips were baking (and making my kitchen smell delicious), I prepared my quick and easy Ranch Mayo Dip. I combined ¼ cup of regular mayonnaise with two tablespoons of Ranch dressing mix. That’s all there is to this tasty dip! When the zucchini chips were crisp and golden, I removed from the oven and let cool for about ten minutes on the baking tray. Then it was snack time! I eagerly grabbed a zucchini chip and dunked into the Ranch Mayo Dip. And let me just say it was zucchini perfection! The zucchinis baked up golden and crisp, with a nice seasoned coating. And the dip complimented the zucchini, accenting their seasonings. I was addicted to these chips. And since they’re on the healthy side, I didn’t feel guilty about eating a handful or two as a snack. So if you’re like me and are weary of eating zucchinis, or are looking for a new twist on a classic vegetable, why not try these Zucchini Chips with Ranch Mayo Dip? I guarantee you’ll love the crispy chip, paired with a zesty dip. Looking for more easy appetizer recipes? I’ve got you covered! If you're looking for a creative twist on a classic vegetable, try out these Zucchini Chips with Ranch Mayo Dip! Loaded with spices, these chips make a healthy snack, appetizer, or side dish! Preheat oven to 425F. Line a large baking tray with a silpat baking mat, parchment paper, or non-stick cooking spray. Cut each zucchini into thin discs. Set aside. In small bowl, whisk together egg whites until frothy. Set aside. In another bowl, combine the breadcrumbs, garlic powder, oregano, onion powder, salt, and pepper. Stir until mixed well. Working one a a time, take a zucchini thin, dip into egg whites, making sure to cover entirely. Then dip into bread crumb mixture. Place zucchini on prepared baking pan. Repeat with each zucchini disc until all are coated. Bake for about 28-30 minutes, or until zucchini chips turn golden brown and have a nice crust. Remove from oven and let cool for 5 minutes on baking tray. Then move to a wire rack to cool completely. While zucchini chips are baking, prepare Ranch Mayo Dip. In a small bowl, combine mayonnaise and Ranch dressing mix and stir well. Refrigerate until ready to eat. I used one zucchini per serving, so if you are serving two people, use two zucchinis, etc. Feel free to swap out different seasonings to fit your tastes. 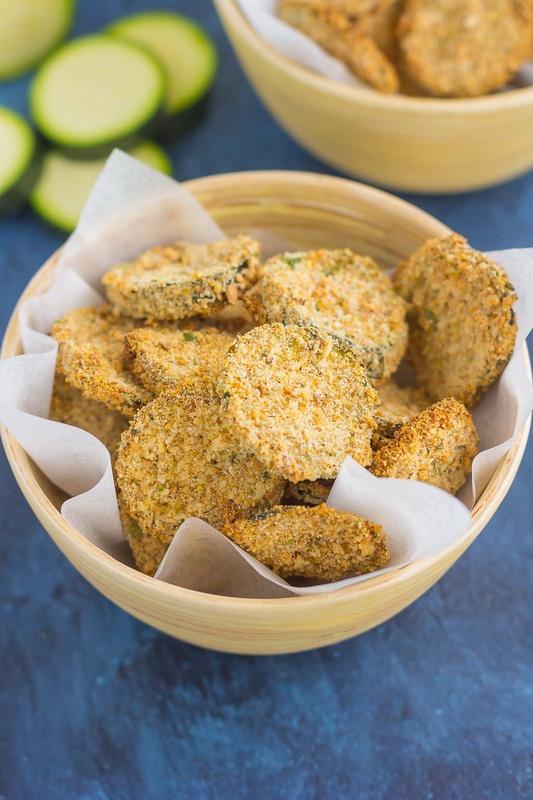 Zucchini chips are best eaten right away, as they will start to turn soft after sitting out for a while. I can totally relate! I used to hate zucchini. I would pick it out of any recipe, but once I tried it roasted I absolutely fell in love with it. Now it's my go to veggie! I've made "pasta" with it and it's awesome. Never thought of making chips like this. I'll have to try it! I've always wanted to try the zucchini pasta, Leah! I'm sure it's amazing! 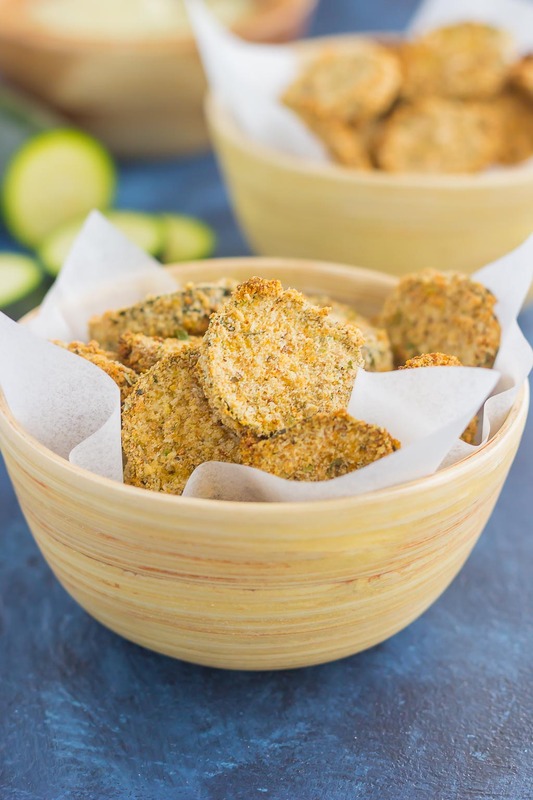 If you like zucchini, I'm sure you'll love these chips! I was won over when I first saw your photo, Gayle! Unlike you, I love zucchini like this, so I don't need any convincing at all. When I was living in Greece, many restaurants sold a fried version of these, but your baked version look just as delicious (not to mention healthier). Your bike ride sounds fun fun fun! I'm so glad you like zucchinis, Helen! I have seen fried versions too, but I think this baked version could definitely rival that! I am going to have exactly 8,000 zucchinis in my garden this summer because I went a little crazy with my planting. I will have to keep this recipe in mind! Looks great! I'm sure zucchinis from the garden are amazing! And I'm sure you already have a bunch of delicious recipes in store for them! I hope you love this baked version if you try them! Glad I'm not the only one that hasn't ridden a bike in a while! :) Yes, these are definitely like fried pickles, but with a healthier twist! And thanks for the pin, Danielle! You totally just inspired me to bust out our bikes and go for a ride! I love riding our bikes down to the farmers market on Saturday and stocking up on fresh fruit and vegetables. I'll have to pick up some extra zucchini and make these chips because they sound DELICIOUS! Love that they're baked and not fried. That's a great idea to ride to the farmer's market...I think I'll do that next time! And I think you would love these chips, Natalie. A cinch to whip up and so tasty! I love zucchini! And zucchini noodles! And these chips! I've never thought of making them crispy like this. When they cook, they tend to get a bit soggy. Great idea! I love zucchini chips! The dipping sauce just makes it even better : ) And I don't think I've rode my bike in years ... so sad! haha I need to get it out from hibernation this summer! Thanks, Ashley! The sauce definitely gives the chips an added touch. Hi Gayle, these chips look wonderful, will pin for later when I have zucchini coming out of my ears. Love this! Thanks for the pin, Cheri! This is definitely a quick and delicious recipe to put all those zucchinis to use! These zucchinis look delicious! I actually love them and your pictures have encouraged me even more!!! I tried to crisp them on one time and failed because I cut them too slim. You've convinced me to try them again! Thanks, Jess! 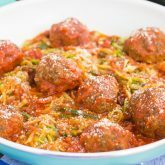 I definitely think you should try these out again...so easy and delicious! I could eat these by the handful! I love zucchini, we had a huge garden growing up and each of us kids were in charge of certain types of plants. I was in charge of zucchini, so I am probably overly fond of it for sentimental reasons! ha! This dip looks great, I definitely have to try it! It's good self torture though, right? :) And I'm always sore after a bike ride too, definitely know I got my workout then! I think you would love these zucchini chips since they bake up nice and crispy. And thanks so much for the pin! Now I'm a huge zucchini fan, but when the crop start to come it, I totally end up with a million zucchini and zero ideas on how to cook them. Can't wait to try these zucchini chips. And the garlic....agreed! Gayle, I love zucchini chips! These look amazing, especially with that dip! Thanks, Bri! The dip goes along perfectly with the zucchini chips! I used to eat fried pickle chips with a ranch dip everytime I would go out to eat and they would be on the menu. They were one of my guilty pleasures! These ones sound so much healthier though and I love that! 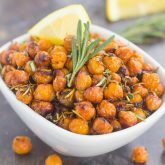 I'm a big snacker and these looks like they would be the perfect healthy snack, I need to make these soon! I've got to try fried pickle chips, they sound delicious! If you try these, please let me know how they turn out! Those zucchini chips are calling my name! 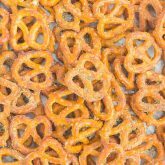 They look so crispy and delicious, and I love that they are baked so I don't have to feel guilty about indulging. I actually do like zucchini plain, as long as it's grilled (soggy steamed zucchini = totally yuck), but these zucchini chips look even better! Count me in for this dish. Love veggie chips with a ranch dipping sauce. I love zucchini! 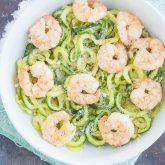 I've never had zoodles before because I don't have a spiralizer. 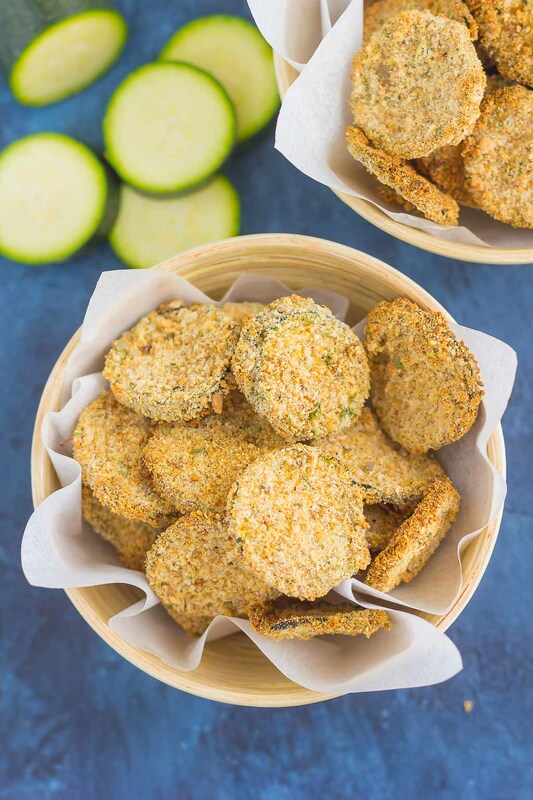 I've made eggplant chips and loved them so I'm sure I'll enjoy these zucchini chips! Sounds like you would love these chips, Polly! So easy to slice and bake! Gayle, we are on the same wavelength this week! Your zucchini chips look great! I'm convinced that turning them into chips is the best way to eat them. Biking kicks my tail, too! I don't ever do it and it is amazing how quickly it makes me feel out of shape! :) This is an amazing recipe! I can't wait for our zucchini plant to start going crazy because I have found so many savory recipes to try this year. With all those spices, this is guaranteed to be a flavor party! Everybody loves these at my place! Need to try this recipe of yours!! Looks great! Thanks, Ami! Not only are they a healthy snack, but I love that these chips are so easy to prepare! These courgette chips look amazing! Love the sound of the ranch mayo! Thanks, Jess! The mayo goes perfectly with these chips! I just love this idea! I recently started getting fried zucchini, I has no idea how good it was! I am going to send this to my dad, he is always looking for ways to enjoy all the zucchini from his garden! Thanks, Julianne! Very easy to prepare, and a bit healthier than fried zucchini. I hope your dad likes this recipe if he tries it out! Thanks for the zucchini love, friend! oh my gawd, yum! can't wait to try these! Happy 4th! I love zucchini, so I don't need convincing that these would be delicious! And god for you riding your bike - it's so nice to get out and enjoy the great summer weather! Thanks for the kind words and for stopping by, Melissa! Glad you had fun riding your bikes :) The weather is so nice around here ! 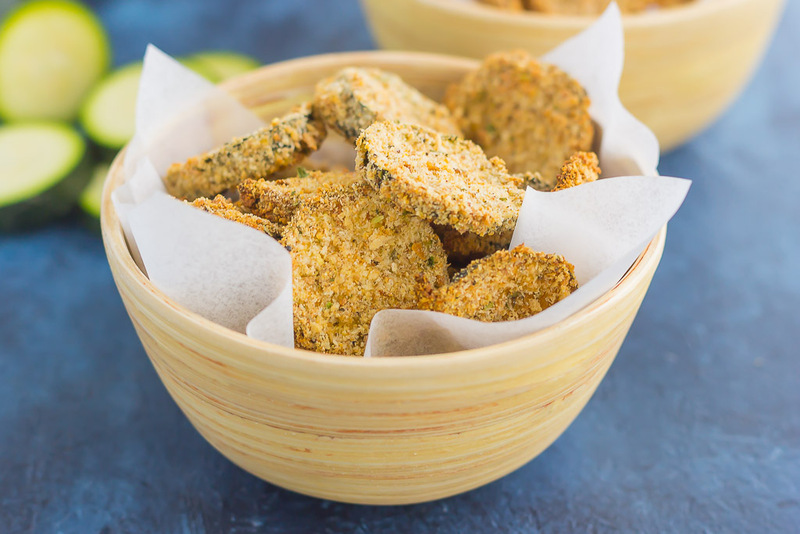 This zucchini chips is amazing! I actually love zucchini and need to try this recipe very soon! I didn't see this original post, but totally happy I did now :) ! I definitely have to try these, Gayle cause I love zucchini! So fun that you chipified (just made that word up ;)) this veg! And that dip sounds like a perfect match! Pinned! Have a wonderful week, my friend! Chipified...love it! :) Thanks for the sweet comment and pin, Dawn! Mmmm these look perfect for snacking on!! I love that dip... and zucchini is one of my favorite veggies. It's so versatile! Thanks for the sweet comment, Natasha! Thanks for stopping by, Kris!